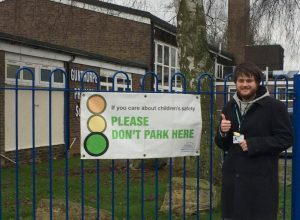 In one of my previous Blog Posts you may have seen that PCC had agreed to undertake assessments to assess whether further parking restrictions were needed and would be beneficial in the streets surrounding all three of the Primary Schools. 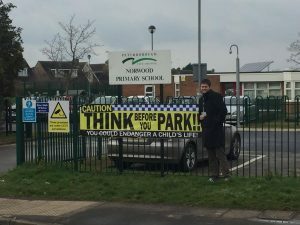 Peterborough City Council Officers attended Welbourne Primary School first to assess whether any further parking restrictions would be beneficial. Upon their visit there were a total of 11 cars parked on Goodwin Walk and 4 within the Entrance to Welbourne itself. Of these vehicles they reported that only one was parked on double yellow lines, whilst others were parked in sensible locations that didn’t ’cause an issue’ .Unfortunately on this occasion the officers did not feel that Welbourne has a ‘Parking Problem’ in comparison to parking at other schools. Therefore they decided not to introduce any further parking restrictions at this location. one late arrival at Norwood who parked on the zig-zag markings to the puffin crossing. four vehicles parked on the single yellow lines in Haveswater Close at the rear of the school. 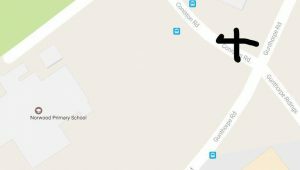 Although it was also reported that at the start of Coniston Road 2 vehicles were parked in gap in between the double yellow lines. The cars were not causing an issue; however there shouldn’t be a gap in the location. Because of this the Officer is going to investigate this and implement the correct road markings as necessary. However to conclude, Unfortunately the Network and Travel Manager feels that based on the observations he had made during the course of the week; there are no serious issues with parking in this location and that routine enforcement will tackle the issues that we do have; (e.g. vehicles contravening the existing parking restrictions). Although this report is perhaps not what we had hoped for it is very important that we realise that we are not alone. The issues we are seeing daily; are occurring city wide. A recent article from the Peterborough Telegraph doesn’t mention any of our local primary schools as a problem area at this given time. During this visit it doesn’t seem that any observation of Hallfields Lane, Cleveland Court or The Pentlands were made which I perceive to be a problem area for Gunthorpe Primary School; so I have questioned this. I feel that work needs to continue to be done to prevent our local primary schools becoming one of the schools in a problem area. I will continue to work with all three of these Primary Schools to make sure that regular visits are made and that resources are regularly provided. It is extremely important that we work together for the Safety of the Children and I hope you continue to work with me. This entry was posted in Cambridgeshire, Campaigns, Community, Council, Environment, Features, Gossip, News, Parliament, Transport and tagged cambridgeshire, Children, City Council, Cllr Andrew Bond, Community, Education, Facebook, FEATURED, Features, Gossip, Government, Gunthorpe, lib dems, Liberal Democrats, Local elections, parents, Parking, peterborough, peterborough city council, Peterborough Liberal Democrats, Safety, schools. Bookmark the permalink.